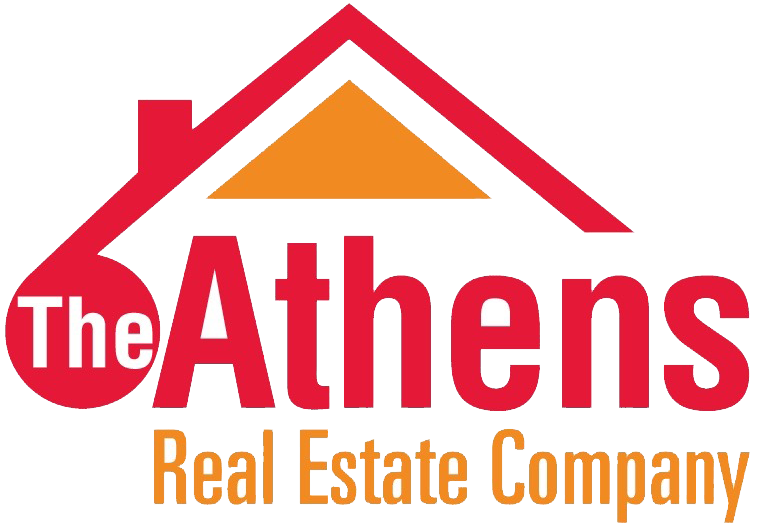 If you are planning to purchase real estate, the Athens Real Estate Company is here to assist you! Whether you are a first-time homebuyer, a seasoned investor, or a newcomer to the area, our knowledgeable agents and staff offer unparalleled service to clients. We know the ins and outs of the local market, stay aggressively abreast of current conditions, and provide detailed and informed advice on every step of the purchasing process. A story-book neighborhood at the edge of town is home to this 3 bedroom 2 bath raised ranch. The generous living room with beautiful hardwood floors, and a wood burner to beat the chills peacefully roars "You're Home". A sprawling kitchen, natural-light-filled dining area, owner's suite with full bath, two more beds and a bath are also located on the main floor. 3 Bedroom, 1 bathroom downstairs permitted for 3 tenants. 1 Bedroom, 1 bath upstairs permitted for 1 tenant. All new windows upstairs, newer siding, full basement. Great front porch, back decks and 1 car garage. Plenty of storage, washer and dryer in both units. Upstairs unit rented until 5/15/20. Downstairs unit currently vacant, tenants move in May 2019-2020. $1260/month. MOTIVATED SELLER, MAKE AN OFFER! Conveniently located just a few minutes from town, this one story home is perfect for the first time buyer or empty nester and everyone in between. 3 bedrooms, 2 full baths and a full unfinished basement with loads of room and possibility. Situated on 3. OKAY HERE'S THE SITUATION ---B - 1 Zoning, 3-4 bedrooms, Athens City Coded for 6 Occupants, East State Street, Easy Walk to Ohio University and East Side School, Close Enough for Curb Service From The Village Bakery, Very Good Condition, Gas Heat and Central Air, Care Free Siding (Vinyl is Final), WHAT DO YOU THINK THE PRICE IS? $ 400,000.. NO ----$ 350,000. NO ----$ 300,000. NO ----$ 250,000. This is the perfect place for a outdoorsman's retreat or family getaway. The one bedroom and one bath log cabin provides a great place to stay. It has a metal roof and a wood burning stove used to heat the home. 48 acres woods, 11 acres pasture. Vinton County or Alexander Schools. Great hunting and recreation. Well and septic, public water available at Rd. Want to feel like you're way out in the country but really be about 4-5 minute drive to uptown Athens? The long blacktop drive leads back to this ranch home with private setting in the middle of 6.3 acres. 3 bedroom 1992, 27x60 manufactured, all electric home and 24x30 2 car + garage with wood stove. Athens East Side Two Bedroom Bungalow. Home is in excellent condition and ready to move into. Large living room with 9' ceiling, built in book shelves. Home has been freshly painted through-out. New stainless steel gas range and built in micro wave in the eat in kitchen. Wood floors in the bedrooms. Situated on a lovely wooded lot in Beechwood subdivision just minutes from Athens, this 3-bedroom, 2-bath home offers the convenience and ease of single-floor living on beautiful wooded lot. The main living area is bright and spacious and the kitchen boasts plenty of counter space/cabinets and a large pantry. Perfect opportunity! This triplex is located close to uptown and is currently permitted and rented. First floor is a 2 BR, 1 BA. Second Floor is also a 2 BR, 1 BA, and the third floor is an efficiency apt. Newer windows (most), new bathroom in first floor apt., new kitchen in 2nd floor apt., new exterior side stairs, some newer appliances. This 1952 sq. ft. 3 bedroom, 2 bath home is sitting on 5 beautiful acres and was completely updated in 2004 with a large breathtaking addition creating a Great Room using Brazilian Cherry floors, Custom Cherry Cabinets including Granite counters and finished 4-season sunroom. Nice split-level home on 2 acres in the Bishopville/Burr Oak area. There are 3 bedrooms, 3 full bathrooms, an attached garage, as well as a detached garage. A wooden deck expands the length of the home and overlooks the backyard. This home has a great layout with the a desired first level bedroom and a full family bathroom.The Kitchen with stainless appliances, is open to the dining area and the living room has a sliding door to the back deck. Two bedrooms on second level - master is large enough for a king bed and both have roomy closets - one a walk in. A full bathroom completes this level. Pack your bags and move in!!! The Great 50 ft front porch with swing is the icing on the cake on this house. Large kitchen with tons of cabinets and counter space. Large living room has a LP gas fireplace. All ceiling fans are remote controlled. Nice sized laundry room with a 1/2 bath. Very nice fenced in backyard with a fire pit and a stair-stepped beautiful raised bed garden. Business for Sale: Stanley Saunders MonumentsGreat opportunity to be your own boss. Great in-town location. Main building used as office/showroom - 2000 sf. Storage building/workshop is about 1400 sf. Another storage building/workshop with 416 sf. All inventory and truck with hoist included. There is 50'11" of frontage on Third Ave. Enjoy this well maintained 4 bedroom, 2 bath home that has a lot of nice features. As you enter the front door, you will find a large living room with vaulted ceiling and corner brick wood burner that opens to the dining and kitchen. Off of the dining room is a large 20x12 covered screened 3-season back porch. Continuing down that hall are 3 nice size bedrooms and a full bath. Very well maintained, 3BR/ 2.5 Bath Arlington floor plan Town house. Not only is this an end unit, it is adjacent to the park area too, so lots of open space to enjoy! Very conveniently located, just minutes to OU and E. State Street. Newer HVAC system and new flooring. Spend your evenings on your back deck enjoying the quietness of the neighborhood. Here is your chance at self sufficient farming on this 44.5 acre farm property with approximately 12 acres of flat, usable bottom land. It has been used for animal husbandry to raise cattle, horses, sheep & chickens, as well as hay, corn and tons of other veggies and it's only ten minutes from downtown Athens, OH. If you are looking for a well-maintained East Side ranch with many quality features your search is over! This one owner home, for the past twenty years, has been well cared for and offers an easy flow floor plan that begins with an enclosed side entry porch, a kitchen with eating area, very spacious living room and dining area with lovely stone fireplace. Back on the market at reduced price, this sprawling stick-built, ranch-style home offers lots of room to ramble, inside and out! For starters there are three huge bedrooms, each with its own private full bathroom. That's 3 master bedrooms for the price of one, and one of the bedrooms even boasts an additional large attached office/media/workout space. This ranch home has so much to offer and more updates then you can mention. Nice country setting on 2 acres +- with large side covered deck and large covered front porch to enjoy your mornings and evenings! This property offers a newer 30x30 insulated garage with concrete floor and newer retaining walls around the rear of the garage and home. Set on a peaceful secluded lot surrounded by 2.78 acres of wooded nature, this home has 3-4 bedrooms, 2 full baths, over 2300 square feet of living space and lots of updates such as newer windows, 2 newer heat pumps, newer storm and french doors. This charming 5 bedroom, 2 1/4 bathroom home sits in Historic Pomeroy with a breathtaking view from the wrap around porch that over looks the beautiful Ohio River. This home also features a 21 foot round above ground pool with a deck, 3 original decorative fireplaces, main floor large laundry room, walk in pantry and new flooring in the bathrooms. Nice home and neighborhood. Kids will love the 18 x 36 in-ground pool (new liner/cover in 2018), covered porch and pool building. Covered front porch. Nicely landscaped. Newer laminated floor in LR and hallway. Kitchen with new ceramic tile floor open to dining - lots of lovely cabinets and countertops. Family room with bay window & wood burner - half bath with tile floor. Covered front entrance. Remodeled in 2000. Excellent condition - well maintained. Walls are drywall not plaster, Berber carpet and linoleum floor coverings and trim w/character. 1st Floor - office w/gas log FP, 3 additional offices, bath w/shower, conference room. 2nd Floor - 4 offices, full bath, kitchen w/stove & frig and very nice bar area w/attractive wood - very charming. This charming and relaxing home sits on 7.312 acres over looking the beautiful Ohio River. Not only do you get to enjoy the view, this home also features 4 bedrooms, sun-room, eat in kitchen, full basement plus you also have a 28' X 29' detached garage and 12' X 16" storage building. The property also has a productive but not active gas well. This cozy 2-bedroom, 1-bathroom ranch home sits on 3+ acres backing right up into Wayne National Forest. A hunter or nature lovers dream! Spend your mornings sipping coffee on the 400 sq. ft. covered porch overlooking the front yard. Inside, the main floor boasts an entry way, kitchen, living room, and dining area, all with newer flooring and ceilings. This 3 bedroom, 2 full bath home offers great views and private setting on 1.05 ac. m/l. When you enter the front door you will immediately see the large and open updated kitchen that flows into the family room that boast hardwood floors and gives you that spacious feeling with views to enjoy. Down the hall are 2 nice bedrooms with hardwood floors and a full bath. Enjoy the covered front porch and large carport with expanded area for extra storage and entertainment. This 3 bedroom, 2 bath home comes with open floor plan and 1400 Sq. Ft. all on one floor. Imagine having your very own private little piece of paradise! This 3 bedroom 2 bath home is situated on just shy of 3 acres, is only 2 miles from The Crossroads convenience store on SR 56 and two miles to the The Plains on all paved roads. Pretty and practical 1940s ranch home on a fenced corner lot! Don't dismiss this one because of its size: with a thousand square feet of living area all on the main floor, this home is more spacious than it seems! The living room and dining room are open for the flow of people and conversation, and the full bathroom has been updated with modern touches. Pack your bags and move on in! This 3 bedroom 2 bath home has everything you are looking for. The home features nice laminate plank style flooring in the common areas of the main floor, making for easy clean up and care! The kitchen is an eat in style featuring a gorgeous custom-built butcher block island with bar. This gorgeous 3 bedroom, 1 bath home comes with incredible VIEWS of the ATHENS plus has a wonderful lot consisting of 1.11ac. m/l. When you pull in the concrete drive you will find the 1 car detached garage and a great open yard inviting you home. Upon entering the home you will find a nice size living and dining room. Nice 2 bedroom 2 full bath MH on 71 ac +/-. MH is in great condition and move in ready. Use this for your permanent home or weekend get-away. Offering a large 2-car unattached garage and a large storage building. Also nearby is a pond with a shelter for fishing, swimming and cook outs! Great hunting/recreation property with trails throughout for your side by sides and 4-wheelers. You cannot help but to notice this place when you drive by. The landscape and layout just catch your eye. This ranch style home has a drive in garage, partially finished basement with lots of possibilities. Upstairs you come into a formal dining or music room, there is a massive family room with brick fireplace, 3 bedrooms and 2 full bathrooms. This house proves the point that a nice home doesn't need to be big! You will fall in love with this cozy Eastside home. It has charm, quality and location. Besides the main floor, a fully renovated loft adds 200 square feet m/l living space. A large deck, which stretches across the full length of the house, is perfect for relaxation and entertaining. This "diamond in the rough" has a great setting! Located just a few blocks off East State St in a great neighborhood. Walk to all the shops and restaurants. Home has all the features you want including hardwood floors, fireplace, basement, and garage. Bargain priced to allow for your own updates and decorating touches. Short sale. 84 +/- wooded acreage with stream perfect for hunting, recreation, or to build your dream home! PRIME COMMERCIAL OPPORTUNITY! Ready to be developed for new business. Within 1/4 mile from WalMart in the heart of business district and other thriving businesses along SR 7 North. City utilities available, property sold "AS IS". Existing building and house stay. Note: per City Zoning Map - property is zoned as General Commercial. Map in file. Completely updated 3 bedroom, 2 bath home with everything on one floor. Owner has updated the kitchen, both bathrooms, all floor coverings with laminate floors, new doors and trim, new windows and so much more. Enjoy sitting on the covered front porch before you enter and find a large open living room with decorative fireplace that opens to the kitchen with all new stainless steel appliances. 113 +/- Acres for sale in Meigs & Gallia County, Ohio. Own your own property & be able to hunt in two counties anytime you want. Both counties have always been known for great hunting & this property is a testament to that history. Frontage on Leading Creek and plenty of room to build. Also get some royalty income from wells on property. Exact acreage to be determined by new survey. More here than meets the eye!! This extremely well-kept home is situated on a very nice lot located just minutes from Cooper Hollow Wildlife Area. Newly laminated floors throughout home along with new kitchen cabinets and a new furnace. This cozy home offers 3-4 bedrooms, nice open living room and a covered front porch. This 40 ac. 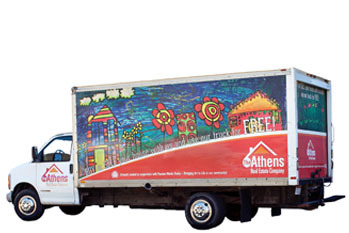 m/l property with Free Gas has been in the same family for over 100 years. Property includes a 3 bedroom, 1 bath home built by their late grandfather in 1950. 1st floor features 2 bedrooms, living room, large eat in kitchen & full bath. Upstairs is an open design with lots of possibilities. Feels like home. From the moment you walk in and see the arched doorways and hardwood floors, this house will truly feel like home. A nice updated kitchen with tile floors, a beautiful tile back splash and a brand new dishwasher. Abundant amount of natural light in the living room and dining area. Commercial building, offering 3 separate commercial offices. Located on Court Street, in the heart of Downtown Gallipolis, the 1st floor offers 2 open spaces, both with operating businesses, and the 2nd floor has a long-term tenant. The property offers storefront windows on Court Street and 3rd Avenue, with 3 income generating tenants already in place. An affordable home in a great neighborhood yet with ample privacy. You can relax on your own deck and private pond. Owners have made many updates and an even floorplan changes: new great room with open concept, bamboo flooring, vinyl windows, bathroom upgrades, and more. Ample storage and light in the family room. Athens Schools. This beautiful 2 bedroom / 2 bath condominium at Villas at High Pointe Village in the University Estates features quality features and great community amenities. The master suite includes a walk in closet & full bath while the second bedroom also has it's own bathroom and large walk-in closet. Each bedroom has a full bathroom and walk-in closet. This beautiful home has fresh paint, an impressive master suite with walk in closet and full bath, laundry room conveniently located between 2 bedrooms on second floor and a third bonus bedroom upstairs. The yard is large and flat with ample space for pets, pole buildings, pool, garden...you name it. Well landscaped, nice covered front porch with handicap ramp. Living room, formal dining room with built-in shelves. Kitchen with large island - lots of counters, cabinets, eating bar and breakfast nook. Family room with sliding door to covered back deck. Laundry with pantry. Master bedroom - master bath with shower and soaking tub. 2 bedrooms with walk-in closets. Back Deck has all new flooring March 2019. New paint March 2019. Ceiling and walls all painted with beautiful calm palette. New Ceiling fans in great room and loft. Cabinets and counters are beautifully updated end of 2018. Porch has new boards and tree branches removed from over the roof line March 2019. Beautiful soaring ceiling with natural beam accents. A truly unique property that offers the best of both worlds including wooded surroundings, while only 1 block from uptown Athens and the Ohio University campus.The recently renovated house features 2 large bedrooms on the main floor, and a third bedroom in the finished attic. Home sweet home! This 3 bedroom 1.5 bath ranch-style home sits on a quiet and cozy corner lot. Enjoy a cup of coffee in the front room while taking in the natural light from the large double pane front windows. Host guests and family in the spacious kitchen with a breakfast bar space for additional seating. The convenience of living in town with a large yard, swimming pool and wide open view out the back. Main floor has large living room, nicely remodeled kitchen with all appliances and nice ceramic tile flooring. Large hallway bath and two bedrooms on main floor. Owner's suite has 1/2 bath and attached (huge) sunroom that ovelooks the back yard and pool. This is the opportunity for a 2+ acre building site with 8+ acres of woods and trails, all within city limits at University Estates! Building lots are few and far in between, so don't miss your chance! Head to the hills and set yourself up in this 3 bedroom 2 bath country home. There are countless updates inside and out, yet the character and originality has not been compromised. With 7 acres m/l of gorgeous woods, a beautiful yard with a pond, a full walkout basement, a large 2 car outbuilding, and FREE GAS, according to owner, what more could you want? Newer roof. Completely updated 5/6 bedroom, 2 full bath, and 2 half bath home. When you enter you will find a large open kitchen & dining area that is wonderful for entertaining large gatherings and family. First floor also features a family room, 2 bedrooms, 2 full baths and laundry room, half bath in hall, plus a office. Upstairs is a quite landing area excellent for reading plus 3 more bedrooms. Light and bright rooms await you in this special well cared for 3 bedroom, 2 bath country home situated on almost an acre only four miles to town. All the rooms are spacious but have a warm and comfy feeling. The step saving kitchen was updated in 2010 and is open to the living and dining rooms. Other updates include new windows in 2010 and a new metal roof in 2013. The perfect place to build you new home or cabin. Will also make a great place to hunt, enjoy the outdoors, or even raise some livestock. Whatever you choose to use it for it is a very nice property. Electric and public water available at the road. Call today so you don't miss it! Exact acreage to be determined by survey. Vacationing year round? Doesn't that sound like a wonderful idea! Well, with this quaint 3 bedroom home located at dock 4 at Burr Oak State Park, you will feel like you are always on vacation! A ranch style home with beautiful wood siding, it can't get any cuter! You and your loved ones will enjoy the large decks on the main level and the walk out patio on the lower level. This lovely 2BR, 2BA condominium is located in the Villas at High Point in the University Estates area. This newer condo community is well-kept and convenient. Upgrades to this cozy home include stainless appliances, laminate floors, frieze carpets, upgraded cabinets, a security system & front-load washer/dryer. It even has an attached one-car garage with storage space for all of your extras. This 1890's two story farm house features a sand stone foundation, wood floors, a canning cellar, and a peaceful setting. The out buildings consist of a large farm implement building, a wood shop, and a smaller storage building. The property is 32 Acres m/l, with a 5 acre fenced pasture, complete with an automatic livestock watering system, ideal for livestock or horses. 87-plus acres in beautiful and bountiful Meigs County. Come on down to explore the fields, ridgetop view sheds and more wildlife than you can count on all the fingers and toes of your entire extended family. Developed ATV and hiking trails abound that traverse the diverse areas of the property's flora, fauna and elevation changes. Ridge top camping site already cleared and ready to use. Remodeled Mansion Mobile Home, and two updated (2013, 2014) apartments. Located in a quiet country setting, but only five minutes from Athens/Ohio University - perfect RENTAL INCOME. Live in Mobile Home and rent apartments while paying off mortgage ! Athens City Schools. Mobile home has HVAC (2013) still under 10 year warranty, new metal roof, vinyl sidiing and double pane windows. You have got to see the potential for this property. A lovely set up manufactured home that has been converted to real estate, sitting on 6.08 of the most beautiful acres you will find, The home sits well back from the road, on the ridge top where you have beautiful views in each direction. Welcome to Red Gate Farm. This Updated 3 BR, 2 BA 1680 SF Manufactured Home is Move in Ready. Enjoy your Beautiful view of 8.2 acres (+/-) from your front porch or back deck. The property lays on the Corner of SR 141 & Flagsprings RD. There is a fenced in 2 acre pasture, complete with 2 new Farm Gates and Stream. 30+/- acres for sale in Jackson County, Ohio. The perfect place to build you new home or cabin. Will also make a great place to hunt, enjoy the outdoors, or even raise some livestock. What ever you choose to use it for it is a very nice property. Electric and public water available at the road. Call today so you don't miss it! Exact acreage to be determined by survey. Cute, private, updated ranch home on 2.65 acres now for sale. Do you like the idea of having no close neighbors, but want a home that feels updated and modern? Look no further! This house was heavily updated in 2017 and 2018 with new windows, new roof, new appliances (including electric furnace with propane backup and central AC), new flooring, and tons of other updates. This well maintained move-in ready home is located in a quiet hilltop neighborhood, on a very nice lot. Property features 2180+ square feet, 3 bedrooms, 2 bathrooms, living room, eat-in kitchen with fireplace, formal dining room, laundry room, family/rec room, and fenced in back yard with storage building. Don't miss out on the chance to have these amazing views! This 4 bedroom, 2 bath home has great space for you and your family/friends. As a raised ranch, there is double the space because it has a full basement lower level containing a bedroom, bathroom, laundry, and family room. Very cute farm house located minutes from schools, shopping, and approx. 10 minutes to hospital & power plants. Very nice front porch , 2+ acres of yard. Huge formal DR with ventless gas log FP and built-ins. Remodeled first floor bath has a washer & dryer and large walk-in shower. New plumbing in 2017. Very nice back deck with beautiful views. Included in the 5. This stately duplex is located one block away from the historical Nelsonville Public Square. Very close to shopping, library, eateries, public transit and more. Live in one side and rent out the other side, or purchase as an investment property. Home has been beautifully maintained and many updates since the seller took ownership. Duplex up for grabs! Buy as a straight investment or live in one side while renting the other to cover most of your hard-monthly expenses to build up your rental property empire. Currently rented for $600, with marketable potential for $650 per side, this freshly updated duplex is just for you. This well-made home was built to stand the test of time! Property features 3 bedrooms, 2 full bathrooms, marble tiled foyer, open concept living room, dining room, and kitchen with hardwood floors, beautiful solid oak doors and trim throughout, high end vanities in both bathrooms, large walk-in closets in 2 bedrooms, laundry room, 2 car garage, and pool in the backyard. Rolling, Rolling, Rolling on the River (Shade River). Level 12.2 acres, 3 bedroom, 2 bah, home with family room, kitchen, living room, barn, garage building, pavilion. Located on Garden Hill Road (just outside of Shade off Buck's Lake Road). Public Water, AEP electric, and a motivated seller "AND" your land. BRICK RANCH with HOME WARRANTY. Just what you've been asking for with all the upgradesâ€¦3 bed/2bath. New carpet, all brand new appliances. Large updated Bath dbl bowl vanity & quartz top & new toilets. 15.7 acres located in the heart of Hocking Hills directly bordering Hocking State Forest. This is truly a one of a kind property this would be a perfect to build your dream home or just enjoyed all the nature that the Hocking Hills has to offer. More acreage is available to purchase. Be the first business people see when they exit into Nelsonville from the Rte. 33 bypass! Located next to the new Ohio Health clinic and just two-tenth of a mile from the west exit into Nelsonville this commercial lot is over an acre and ready to be developed. Public water, sewer and three-phase electric is at the site. Excellent opportunity to receive instant income from (4) established rentals located across from the elementary school on James Ln. Property consist of (4) mobile homes all owned by the seller sitting on (4) independent lots. All lots are in a row and adjacent to each other. All leases are updated and currently run from Jan.1, 2019 to Dec. 31, 2019. Requires at least 24 hr. notice to show. Great Investment property close to OU and Uptown Athens! Cozy 4 bedroom, 1 bath that is rented until May 15, 2019 for $1125 per month. Many newer mechanicals that include electrical, plumbing, windows, and roof. 24 hr. notice required. Not 13 Eden, Not 17 Eden, not 19 Eden. How about 15 EDEN YES! Now for sale the first time in years! 3 Bedrooms, office, bath, living room, kitchen, carport. (Patio or covered porch you choose). Only available for a limited time! (because it will sell quickly at $ 129,900). Super close to new city pool and my favorite store " The Dollar Tree" Property is leased until October 15, 2018 at $ 725. Nice Brick Ranch located just moments from Hospital, shopping and SR 35. This one might just be just what the Doctor ordered. With a rear screened back porch overlooking a level lot complete with garden spot and tranquility all located within moments drive from downtown yet in a country setting. 42.76 of truly gorgeous acres of very mature woods/timber and some well-drained pasture-located on a dead-end road in beautiful Shade, Ohio, just 8 +/- miles southeast of Athens, Ohio, & Ohio University. About 500 feet of the The Shade River (large creek) flows year road right through the property creating an extraordinary and picturesque natural setting. What a wonderful house on some beautiful propertyâ€¦Just check out the wood floors and exposed ceiling beams. The refined kitchen. The bathrooms. The water-tight basement. Move-in ready and impeccable. What more can be written? 3 beds, 2 baths, modern kitchen, fenced back yard. Perched on a flat bench overlooking the beautiful Ohio River, this property offers a prime building site with plenty of room for your very own mini-farm. This cute move in ready 3br is situated on a quiet street in Albany. With the recent updates to the electric, new heating system, remodeled kitchen, new siding, and more, this house would be a perfect first home. If that isn't enough there is a covered back porch and fenced in yard for the kids to play. Super cute and well maintained ranch home in the Hilltop neighborhood of Logan. Whether you are looking for a starter home or needing to downsize, this lovely ranch home is perfect. 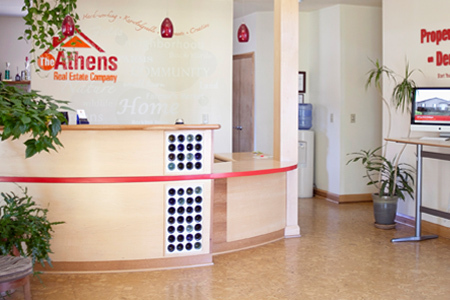 Everything is located on the main level, including 3 bedrooms, a full bathroom and utility/laundry room. This home has an extra large living room that is open to the dining room and kitchen. In-town brick ranch on quiet, dead end street. Nice back yard adjoins old RR trail - good walking area. Kitchen and dining open to one another off the living room. New carpet in living room and hall. Main bedroom with 1/2 bath. All bedrooms have wood floors. Basement - full w/family room. Good natural light. Outside entry. Finished storage room and laundry. If cozy and private, yet close to town are on your list for your next home, then this is what you have been looking for! This 2 Bed/1Bath home sits back off the road with the living area in the rear, creating the feeling that you're miles from town and neighbors, yet you're so close to town. Excellent location on Richland Ave. with so many opportunities. This 2/3 bedroom with excellent flow if you want to use for offices or bedrooms. Home has a gorgeous covered front porch and offers all hardwood floors throughout. Spacious open floor plan with great privacy! Located Minutes from high school and elementary school. Huge Kitchen with island and large pantry. Master bedroom has large master bath with garden tub and separate shower. Most of the home has newer drywall. Bedrooms all have large walk-in closets. Take a look at this ranch on a level lot just a short drive from the Hospital, shopping, and schools. Are you tired of looking at homes that don't have the right floor plan or number of bedrooms, bathrooms etc? This may be the perfect opportunity for you!!! This 32x80 foot shell has all utilities and is under roof. It has a large front porch. The home is situated on over 6 beautiful acres close to Smoke Rise Ranch. Plenty of room for outdoor activities. Make this place your dream home. Commercial Property FOR SALE. OWNER WANTS OFFERS!! Located in Northern Gallia County at 105 Thompson Rd. Vinton Ohio. Strategically placed to access 3 nearby Counties and a short drive to State Route 35. The 2,300 sq. ft. building sets on 1.5 acres of land and was constructed in 1985 with a full remodel in 2018, including resurfaced walls, ceilings and epoxied flooring. It always happens in three'sâ€¦ I have three septic systems, I have three water taps and I have three building sites and my acreage of 9 M/L (closer to 10) is divisible by three. Imagine that! There is already a three bedroom and two bath mobile home on the property. It has a huge wrap around deck, gas furnace and is in good condition. Priced to sell. This 4 bedroom, 2 bath home has been freshly painted and ready to go. Home is much larger than it looks. Open the front door and you'll find a large family room, nice size kitchen, a 2nd family room with bay window overlooking private back yard, and a 3rd large family room on the other end of home with gorgeous stone fireplace and nice window with beautiful private views. PRICE REDUCED! LAND! LAND! LAND! Great Investment Opportunity within the city limits of historic Gallipolis. This 37.5 acres m/l of real estate is ready for you to purchase and develop or just use as a hunting or get-a-way retreat.